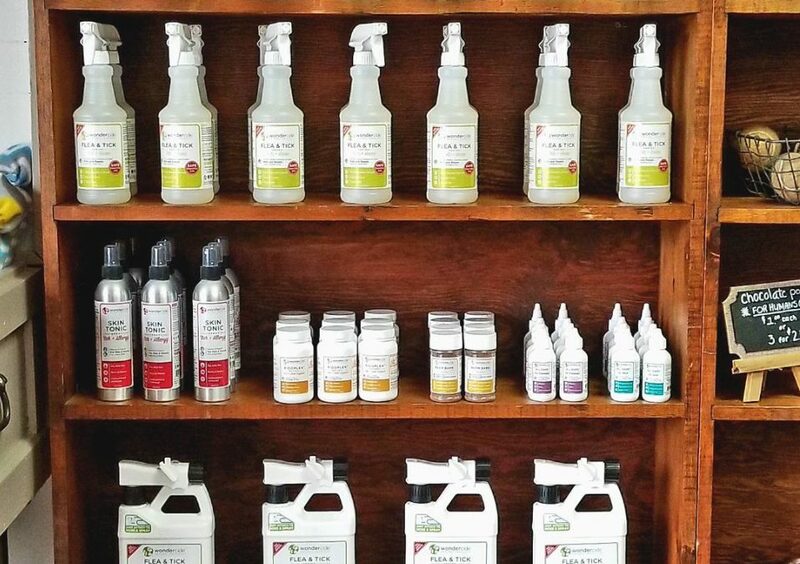 FLEA & TICK | Natural Flea, Tick & Mosquito Control for Pets + Home – an aromatherapeutic spray kills and repels fleas, ticks, and mosquitoes and is both a preventative and treatment for use on dogs, cats & home interiors. FLEA & TICK | Ready-to-Use Natural Outdoor Flea, Tick & Mosquito Control for Yard + Garden – a ready to use flea & tick control solution that kills and repels fleas, ticks & 100s of other pests, while being safe for beneficial insects. Wondercide creates holistic, natural pet care products. It was founded by a woman whose dog experienced devastating side effects ranging from skin issues to organ failure due to the flea and tick control prescribed by a vet. She knew there had to be a better way to protect pets and people without harsh chemicals. Read their story.